The process gets more complex with each step. Next it has to be bookmatched, Reede explains, “which means it’s cut out of the same piece and then folded open.” When placed side-by-side, bookmatched portions mirror each other. Reede pushes his glasses up on his forehead and eyeballs the grain closely, noting the alternating light and dark stripes. 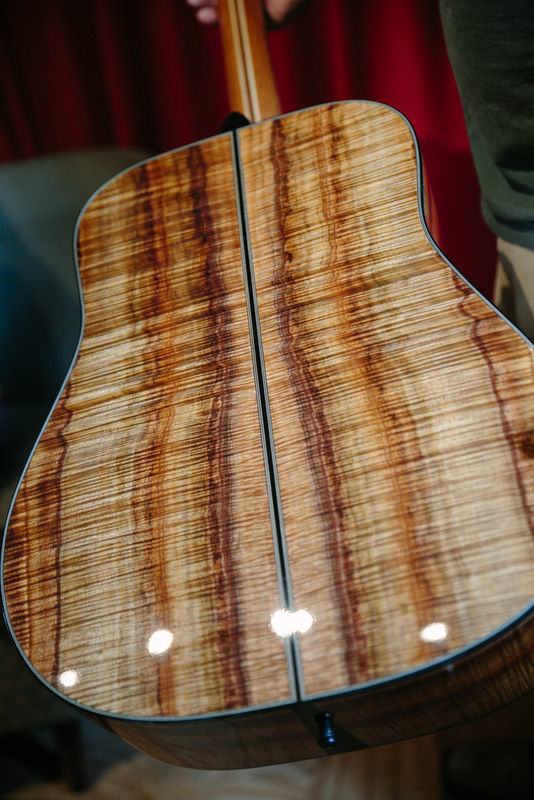 He says that when inspecting the wood, he’s looking for perfect symmetry; straight, even lines; no defects; and stiffness. 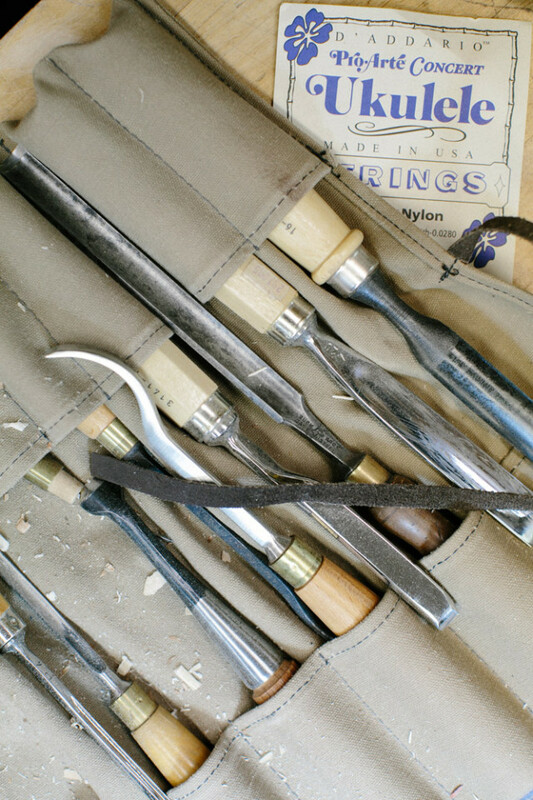 Once Reede is satisfied with the wood he’s chosen, he begins joining the pieces, using old-fashioned hand tools, braces, and hot hide glue—an adhesive made from connective tissue and hide of animals—to shape and fit everything together properly. It’s a technical, but not technological, undertaking. 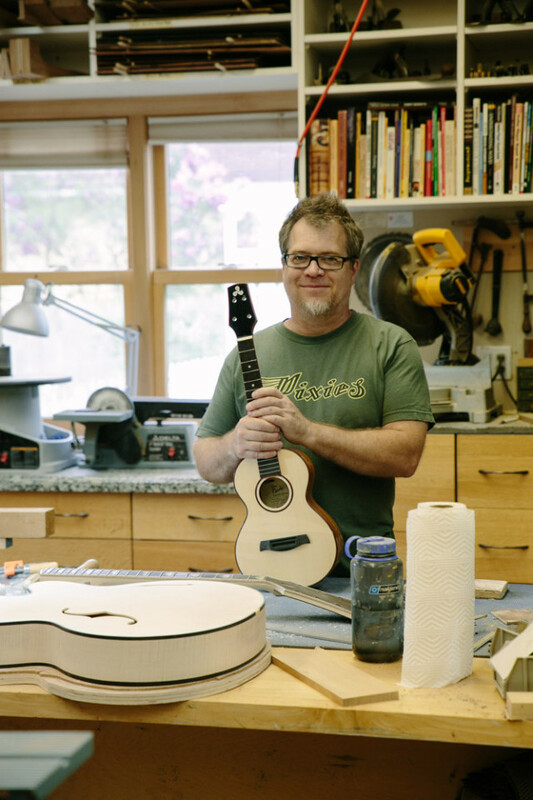 “Handmade guitars—there’s not much difference between how they were made 100 years ago and how I make them,” Reede says. 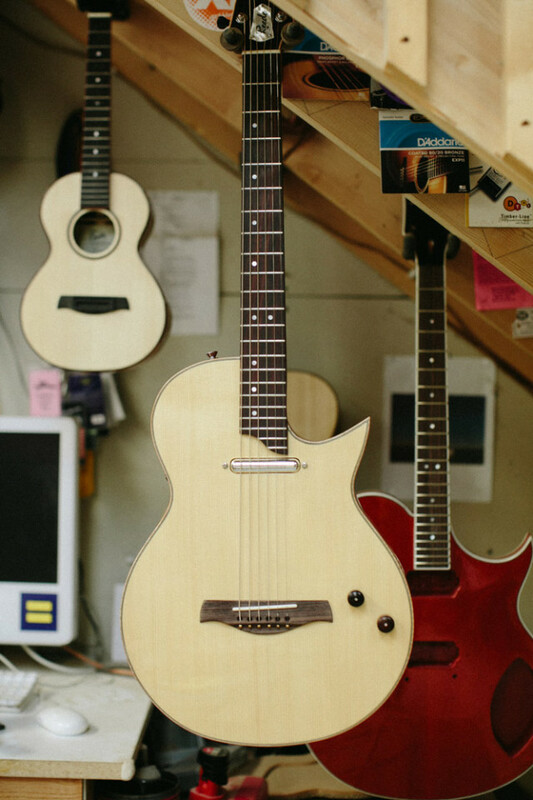 Just like a handful of other luthiers making instruments by hand in Minnesota, Reede takes pride in working with historic designs, hide glue, lacquer finish, spruce tops, and braces. “I’m pretty much a traditionalist when it comes to that,” he says. 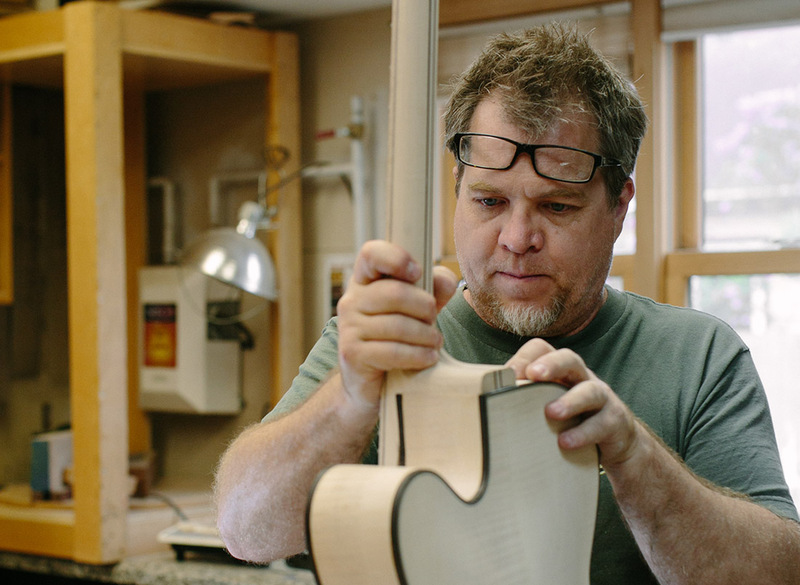 Of all the steps in building a guitar, the neck often requires the most patience. “It’s kind of a form of meditation,” Reede says, grinning. 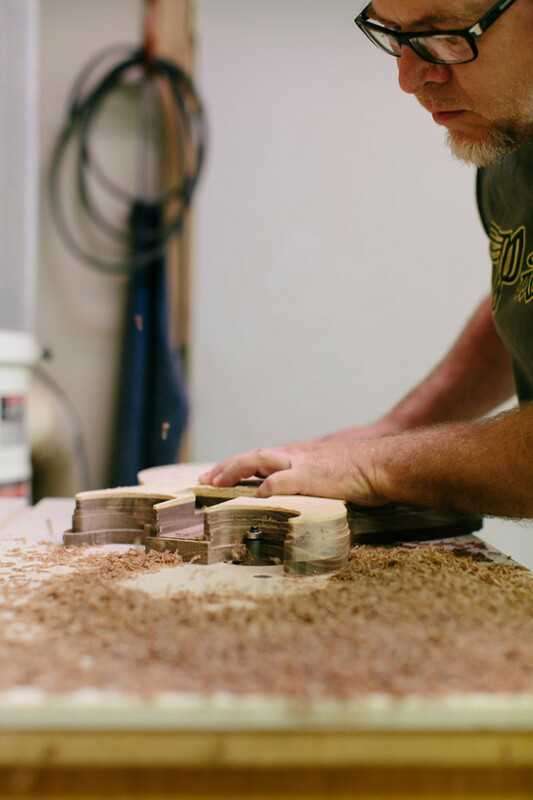 Because he prefers to use a dovetail joint, a method that uses no hardware to bolt the neck onto the body, he needs to make sure the neck fits perfectly flush against all points of contact. 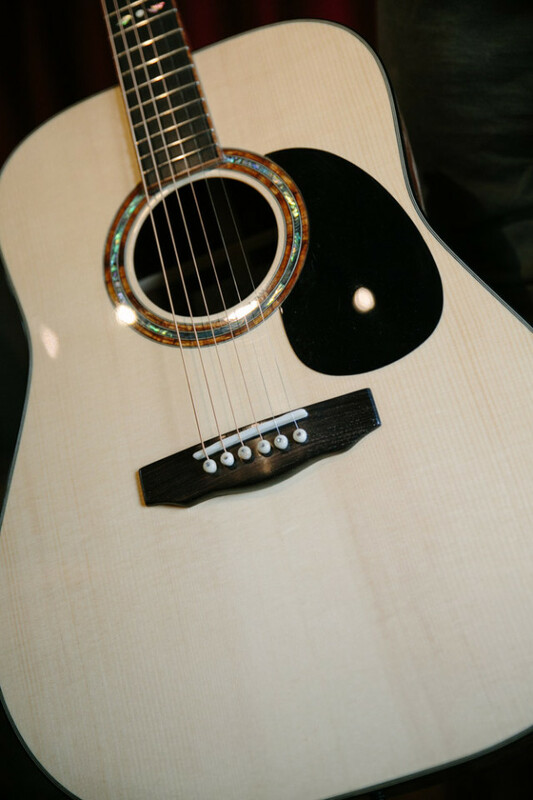 Any gaps between the two will deaden vibrations and affect the tonal properties of the guitar. 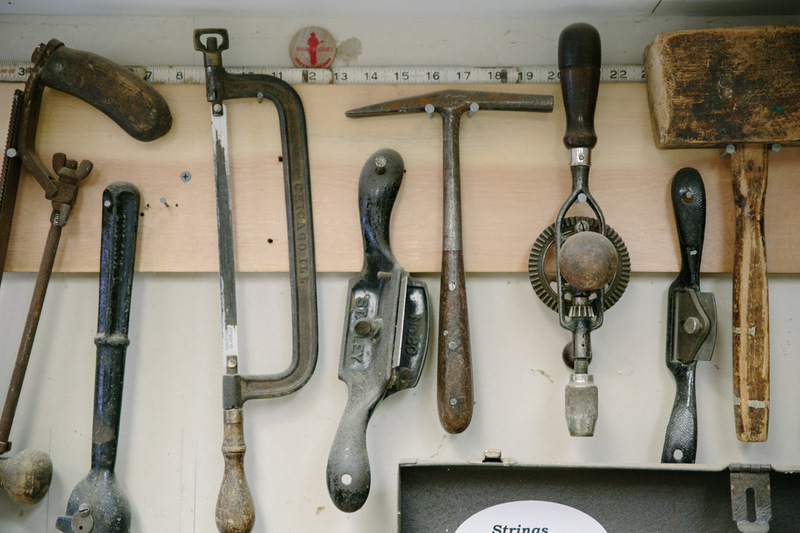 Other parts of the process have become intuitive to Reede over the years, such as tap tuning. 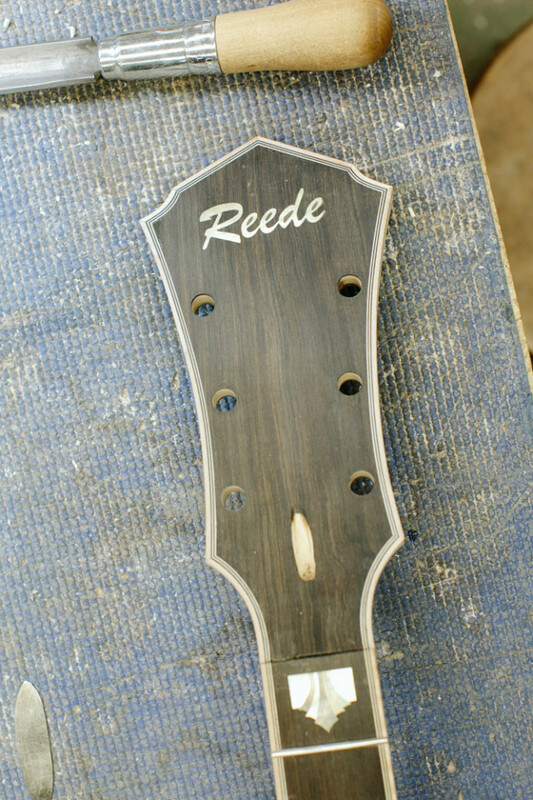 This involves tapping the soundboard, listening to the noise produced, and trimming excess wood off the attached braces until the desired quality of sound is achieved. 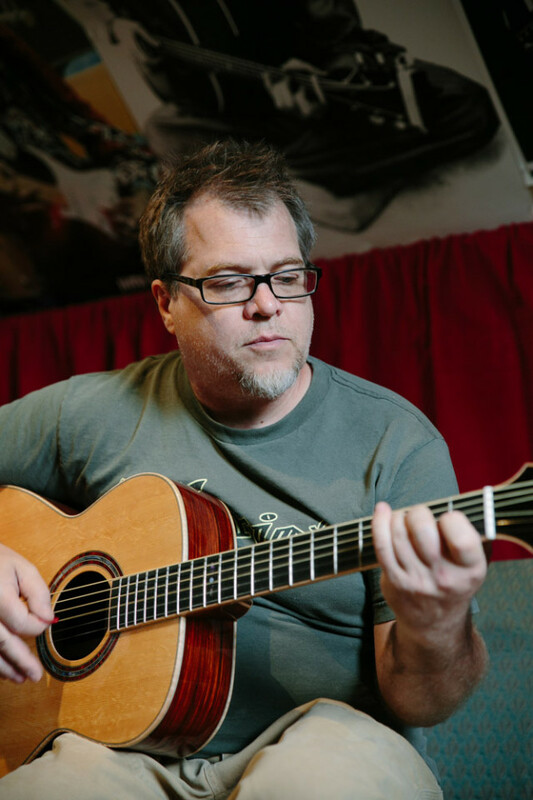 By tapping around and finding as many frequencies as he can, scraping here and there, Reede can ensure all notes will resonate equally. Between the various stages of production, while waiting for that final layer of lacquer to set, Reede often takes to gardening. The vegetable garden behind his workshop contains onions, asparagus, broccoli, radicchio, peppers, tomatillos, and more. 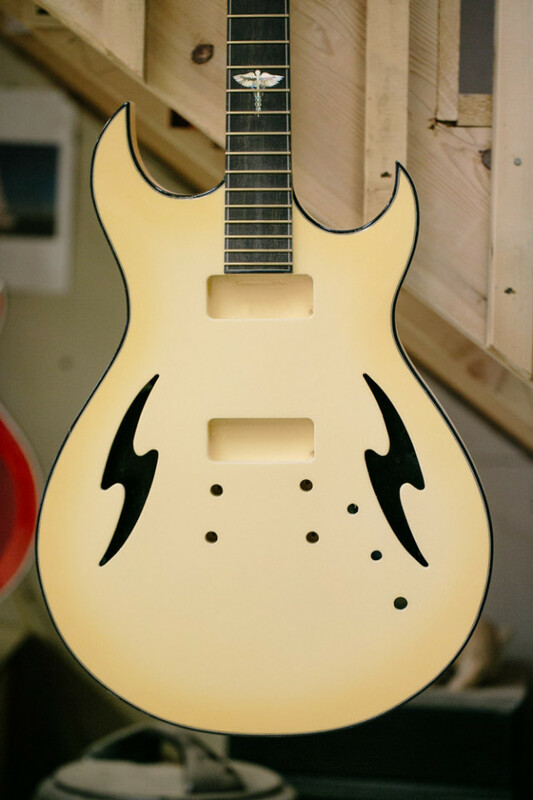 It’s just one more area of passion for Reede, and this love for botany has even manifested itself in his guitar designs: he’s currently working on a prototype electric guitar that will feature rose inlays along the fret board. There’s another thing Reede is excited to grow in his garden for the first time this season: willamette and cascade hops, which he plans to use in his homemade beer. “I just started homebrewing this year, and I’ve made about 16 gallons so far,” he says. “I’m just one of those people who has to do things myself, you know? 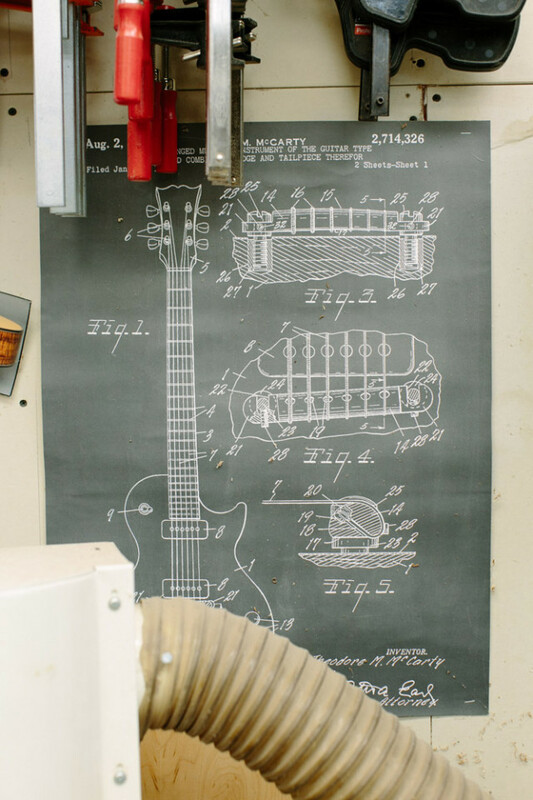 I can’t just buy a guitar or buy some beer; I have to make my own.” The hobby, he says, has provided him with yet another way to learn and grow. As he finishes the thought, Reede remembers he has a bottle of homebrewed Irish Red stashed in the fridge. “Do you want to try it?” he asks. Brendan Kennealy is a writing and PR professional who lives and works in St. Paul. Find him on Twitter here: @extrapalemale.